Planning an event for your organization is stressful and very time-consuming. Being well organized can help alleviate stress and save you time. One important aspect to consider when planning is the invitation. The invitation will notify people of the upcoming event and ask them to attend. It is often the first time they will be hearing of the event, so it is important to cover all the details in the invitation. It is also important to send the invitation out in a timely manner. This means at least six to eight weeks before the event. This gives the guests time to respond and plan accordingly. Choosing the right wording can set the tone for your fundraiser and notify guests of the formality of the event and what they should expect. Be sure to clearly state who will benefit from the event. Include specifics on the event such as if dinner will be served or if there is to be a cash bar. Be sure to mention the formality of the event. 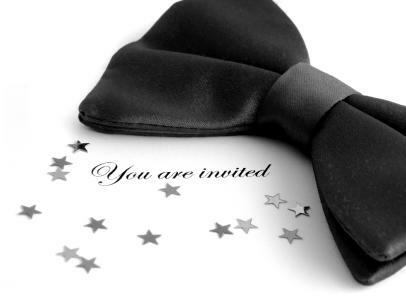 If the event is a formal affair, mention that it is black tie so that guests are aware of the dress code. Always give contact information in case the guests have any questions. If the event is at an unfamiliar venue, consider including directions in the invitation. Theme: Pick a theme and incorporate it into the invitation. For example, if the event is a golf outing, use a golf theme for the invitation. RSVP: Always include a response card for guests to send back. The card should have a place to write the guest's name along with any form of payment if needed. Be unique: If there is something unique to your event, list it in the invitation to attract guests. For example, a silent or live auction can be mentioned or if there is special entertainment. Remember that the invitation is often the first thing that guests will see to alert them of your event. Be sure to take time to carefully choose the invitation and word it in a clear manner that gives guests specifics on what to expect. When creating invitations for a fundraiser always keep in mind the tone you want set for your event and reflect that in your wording. Be as creative as you like to entice guests to attend your fundraising event and to support your cause.